1. Unplug the powe adapter. 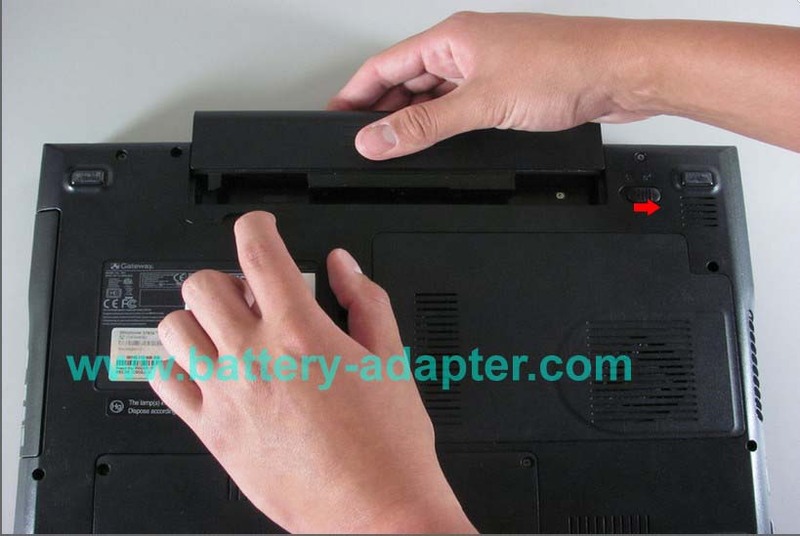 Slide battery latch and pull out battery as shown. 2. 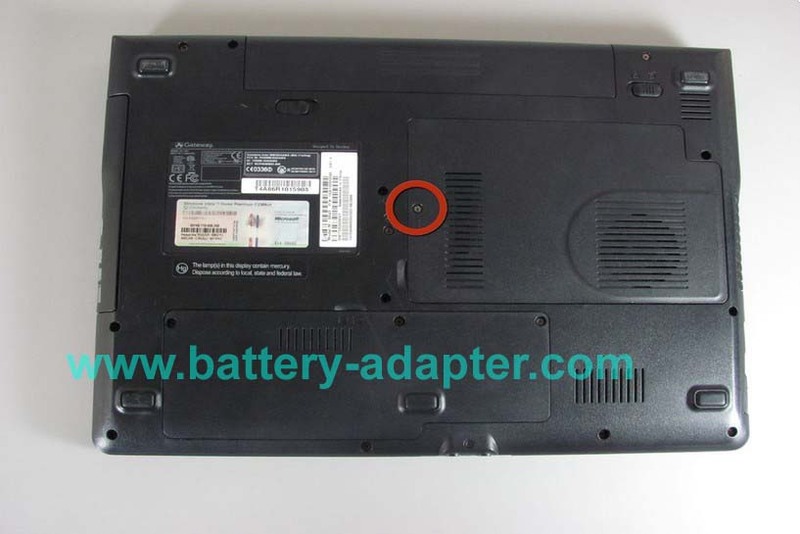 Unscrew the indicated Philips screw. Screw cannot be completely removed from cover. 3. Use the spudger to pry open the cover. There will be three tabs on each side except for the side with the screw. 4. 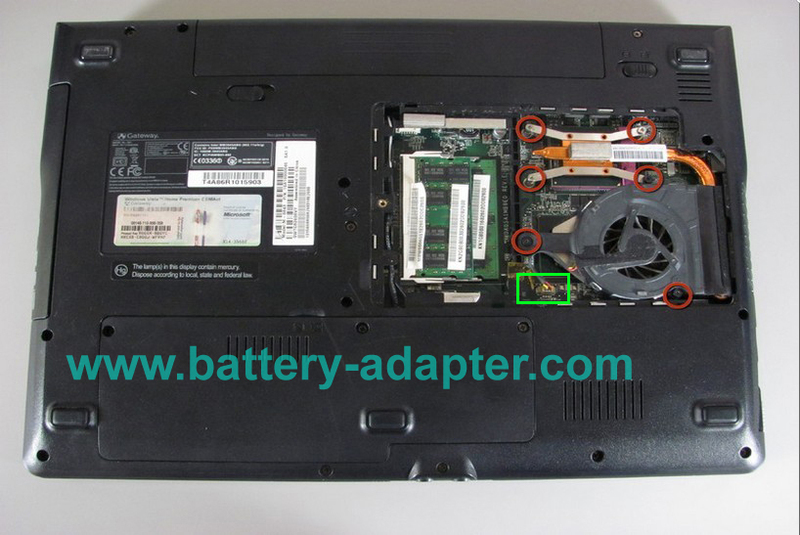 Unscrew the six indicated Philips screws.Unplug the shown cable attaching the cooling fan to the computer. 5. You are now able to remove the cooling fan module now. 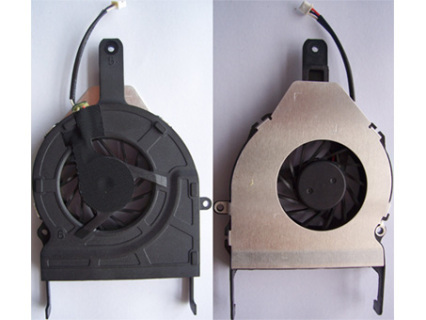 Usually you need to replace the fan only, you can disassemble the fan from the heatsink. 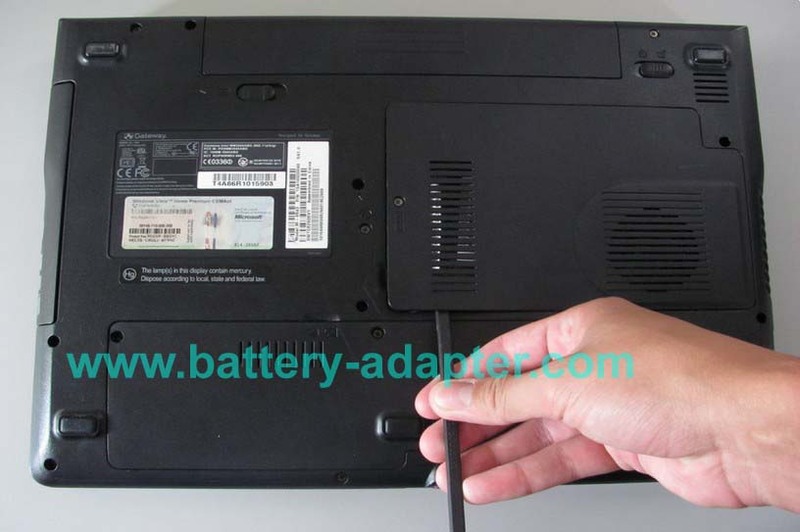 Reverse the procedure to install the new Gateway M-6000 fan. 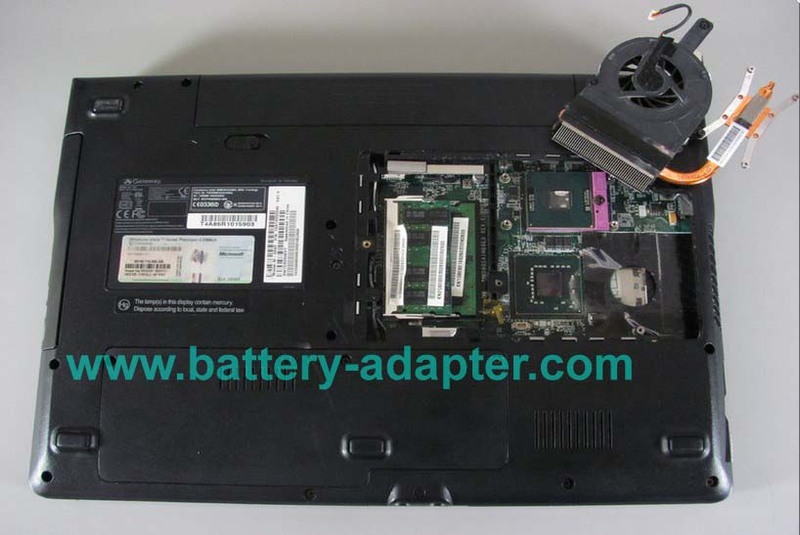 Please don't forget apply the new thermal grease before you fix the fan module.